About AMBIO IX: On the occasion of AMBIO’s ninth biennial meeting, we are delighted to celebrate the immense contributions of Professor Tim Jickells. Tim’s career has touched the full breadth of marine biogeochemistry, where he has personally pioneered transformative research and championed support for many of us in diverse roles of marine biogeochemical research, teaching and governance at local, national and international scales. With support from the Challenger Society, University of East Anglia, Planet Ocean Ltd and Cefas, we look forward to hosting a 3-day conference in Norwich, with a celebratory dinner to be held on Wednesday June 26th. A outline programme is available here. 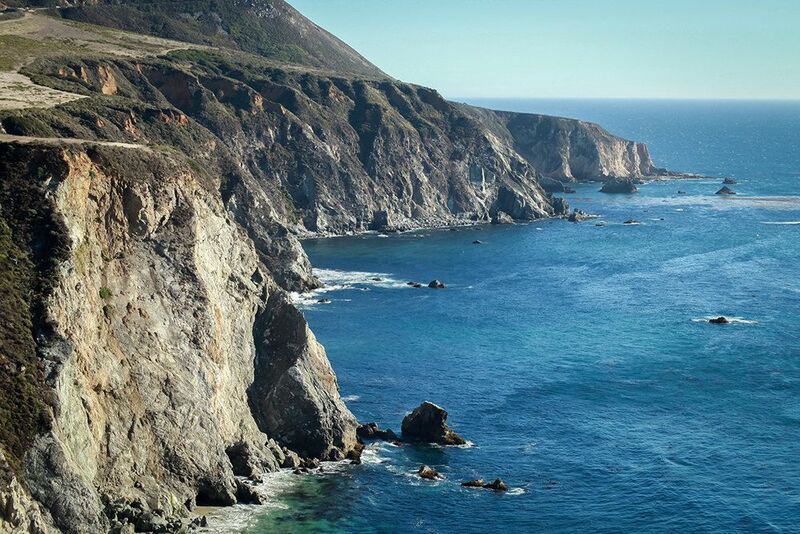 SUBMIT NOW: We are pleased invite your submission of abstracts that present new data, new ideas and/or new approaches to advance understanding of biogeochemical processes within the ocean and across its boundaries - from equator to poles and from sky to seafloor. To learn more and submit your abstract before the deadline on April 26th 2019, Click here. REGISTER NOW: AMBIO offers subsidised registration rates for members of the Challenger Society for Marine Science, and further subsidised registration for students members. 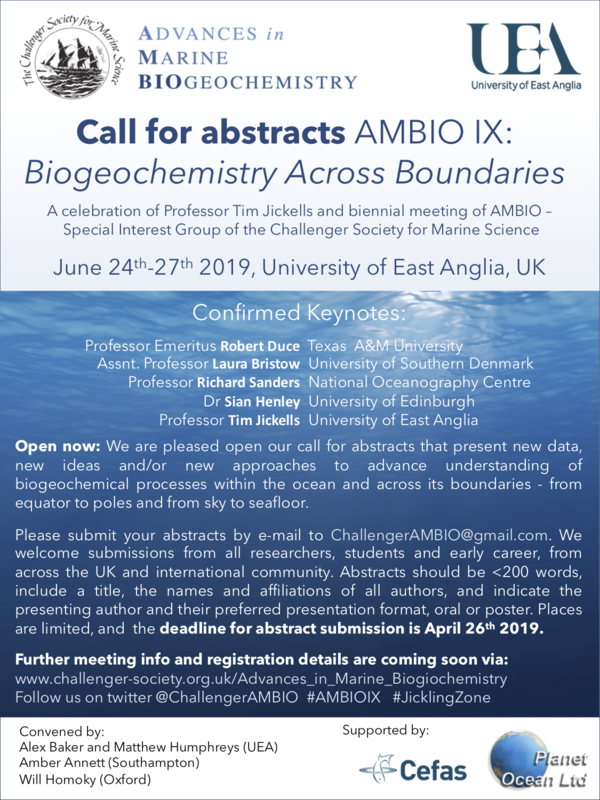 Please register your attendance at AMBIO IX before the deadline May 31st 2019 via the UEA conference-booking site here. AMBIO is a thriving Special Interest Group of the Challenger Society for Marine Science - dedicated to, and run by, its members. Engage other Special Interest Groups for the benefit of cross-disciplinary research. AMBIO held a half-day Town Hall event after the 2018 Challenger Society Conference in Newcastle. Minutes from this meeting are available here, and include our latest SIG developments, present national capability and strategic funding opportunities, plans for AMBIO IX and identified actions for our members. Thanks to all who supported this event and to those who did so remotely but could not attend on the day. AMBIO VIII - The Scottish Association for Marine Science (SAMS), September 6th-8th, 2017. You can read a summary of this event on the Challenger blog page. AMBIO VII - University of Oxford, January 6th-8th, 2016. You can read a summary of this event here.